I’m still waiting to see how the US shakes out with its ongoing struggle to work out what it wants to do with online gambling. It’ll happen. My take is that poker will be first and it’ll regulated on a state by state basis. It’ll be for US companies, and as each state regulates, the company will require infrastructure in each state that it gets a licence in. That’s going to put barriers up for companies that are undercapitalised or who can’t get some type of top-end deal with a regulated network provider. See ipoker.it or pokerstars.fr for what I’m talking about here. Online casino games will be next, following a similar path, with sportsbetting being a very distant last. Could be a long time before the NFL / NBA / etc are happy to see it happen. However, whatever the DOJ in the US thinks, there’s huge appetite for online games, that have gambling elements attached to them. The massive continued growth of Zynga et al, is showing that the social gaming experience is becoming part of the standard online experience for the average Joe. Social gaming companies are big fans of publicising growth metrics and stats, primarily because many are marching on VC money, with IPO being the ultimate aim. The better the numbers, the better the bottom line. It’s not quite the same as many of the online gambling behemoths that are still privately held – so hard & fast numbers are difficult to pin down there. Personally, I think that the low barrier to entry and trial for social games combined with their natural brand associations with social networks (and Facebook in particular), are introducing a casual segment of the market to a type of low cost competitive gambling. One of the drivers of gamblers in particular, is the belief that they’ve got a more informed or more valid opinion than you, or the house. Why else would you stake your hard-earned cash otherwise? 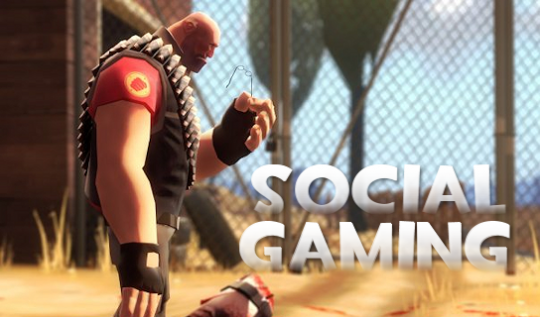 Social gaming is pushing the commoditisation of the gaming transaction. I think this will ultimately lower some of the barriers that stand in the way of online gambling brands, in particular for the US, when regulation happens. If you want to get some decent flavour of what’s happening in the social space, there are some good sources worth checking out – and you can make up your own mind about whether social gaming could be the future of online gambling. It’s either that, or does someone want to buy my 5 million Zynga Poker credits? « Some internet experts worth following on Twitter. And me.